Troubled motorsport channel Motors TV has had a few coins put in the meter to keep it running - for the time being. The channel reappeared on Friday on its usual Sky and Virgin Media slots, three days after its UK feed was terminated and uplink to the Astra 2G satellite ceased. No information was provided to viewers, but financial records linked to its French parent company confirmed the company had been placed under French "safeguarding procedures" after landing in difficulties. Motors TV has not commented about its current situation. 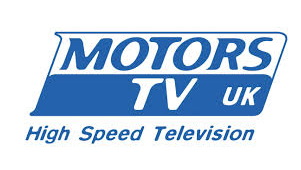 It was the second time this year that Motors TV has been unable to offer a service to Sky viewers, but the first time the service was completely lost to all UK viewers. The channel abruptly terminated its Freeview carriage earlier this year, subsequently indicating that the service on Freeview had not met expectations, despite earlier being credited as boosting its audience figures. In March, it fell off Sky for a couple of days without notice, before being reinstated - although it continued to be uplinked to satellite throughout that time. It's unclear if the troubles will affect the channel's long-term ability to cover the range of motorsports it currently offers. The last relatively high-profile channel to drop off Sky and Virgin Media and cease broadcasting on satellite before being reinstated was The Africa Channel, which ultimately was removed for good. So far this year, Nigerian owned Arise News holds the record for the number of times it has crashed off Sky. The owner of that channel is embroiled in a corruption scandal.